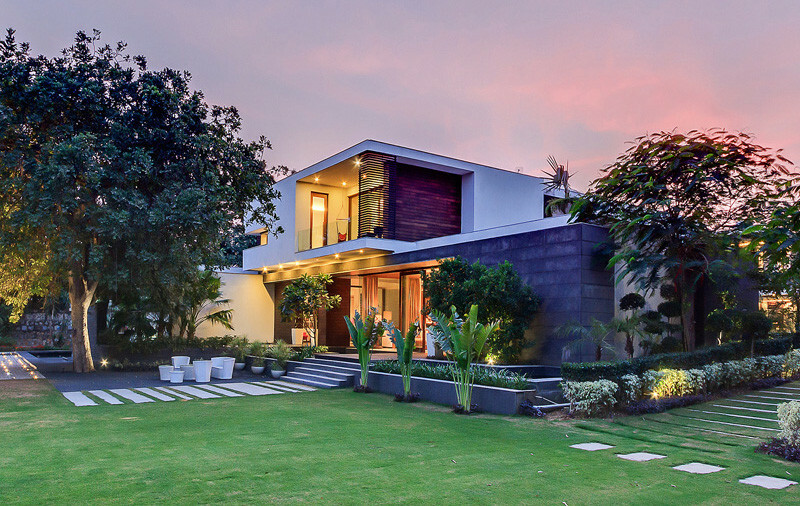 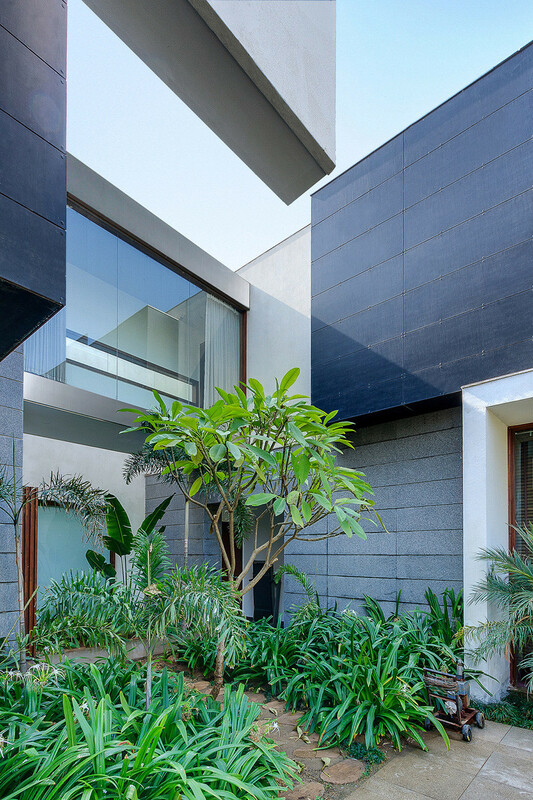 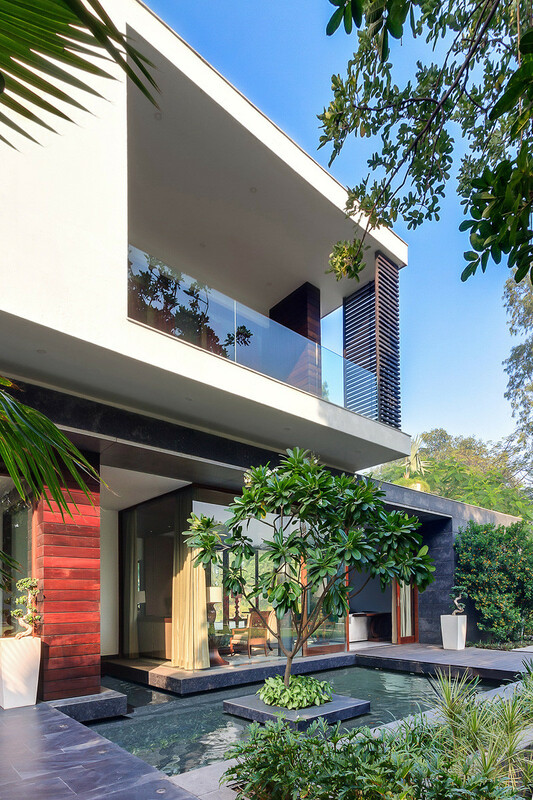 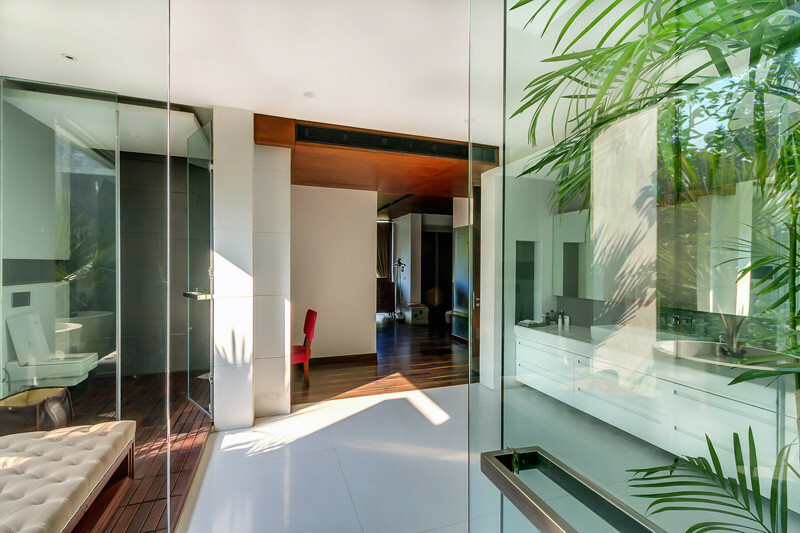 Architecture firm DADA & Partners have sent us photos of a home they recently completed in New Delhi, India. 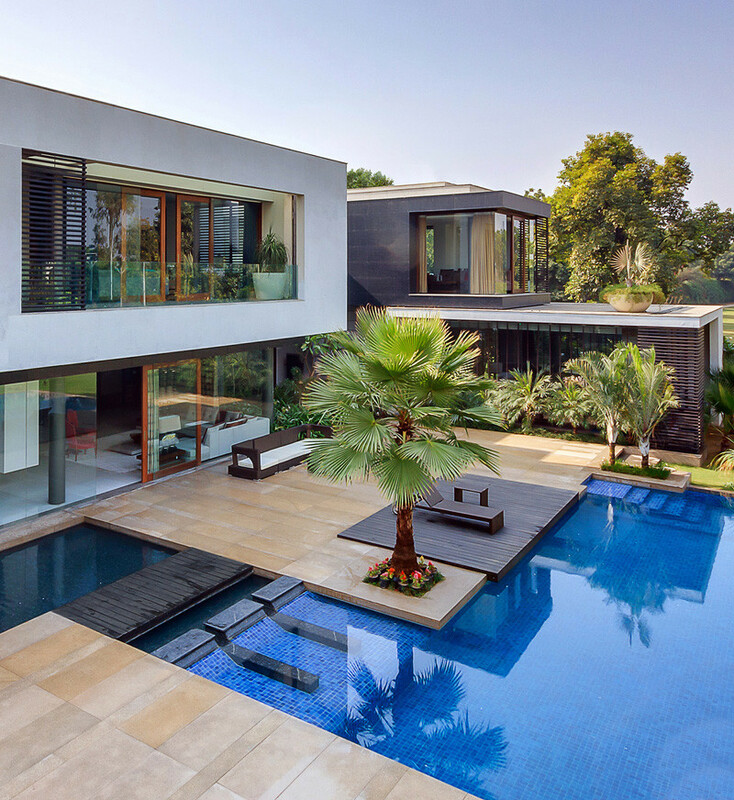 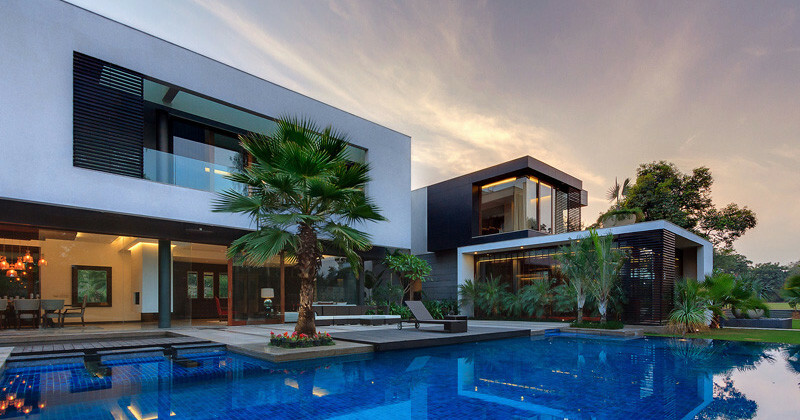 Due to the narrow shape of the plot of land, the house was designed in a ‘C’ shape, with the home wrapping around the swimming pool. 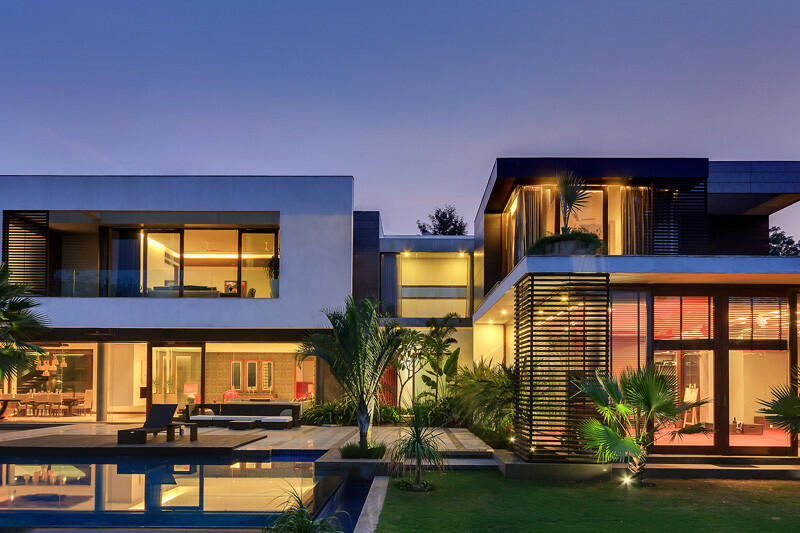 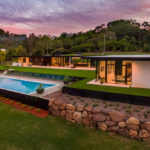 The two-storey home has a large outdoor space, with a deck, a landscaped yard, and swimming pool. 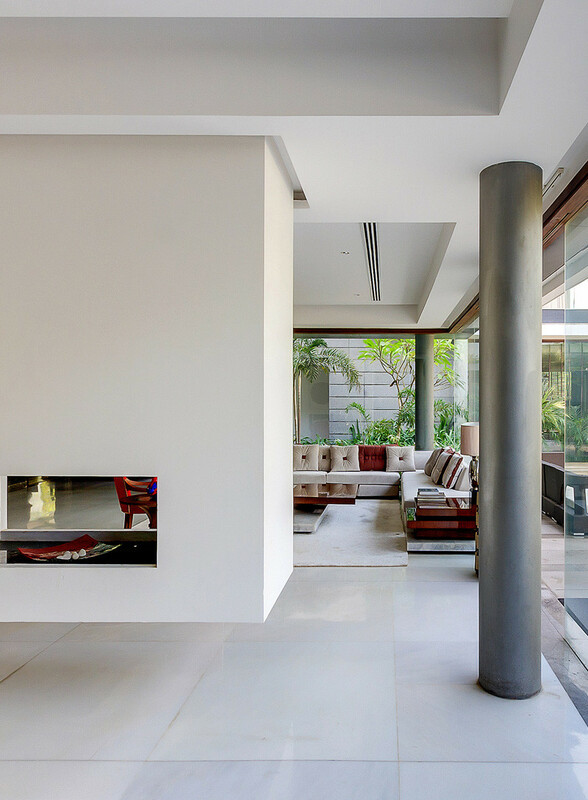 Inside, there is a large, hanging fireplace, that divides the dining area and the family lounge. 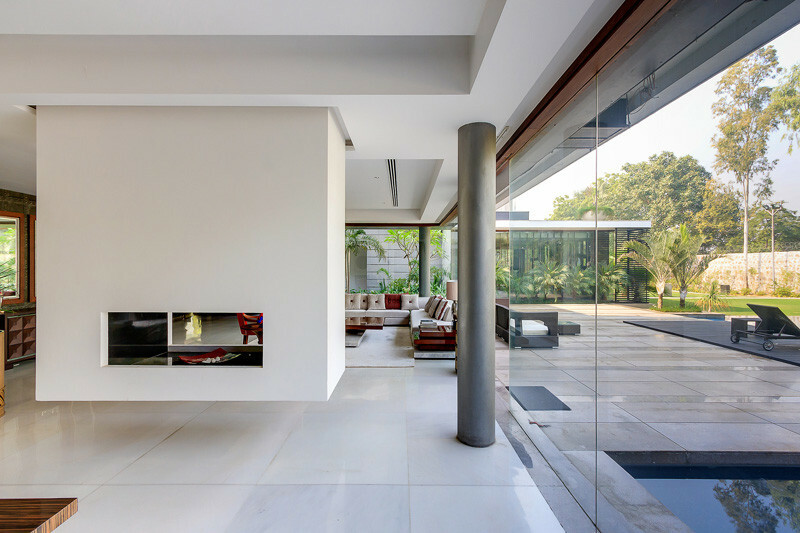 The fireplace is open on both sides, allowing for both areas to enjoy the fireplace. 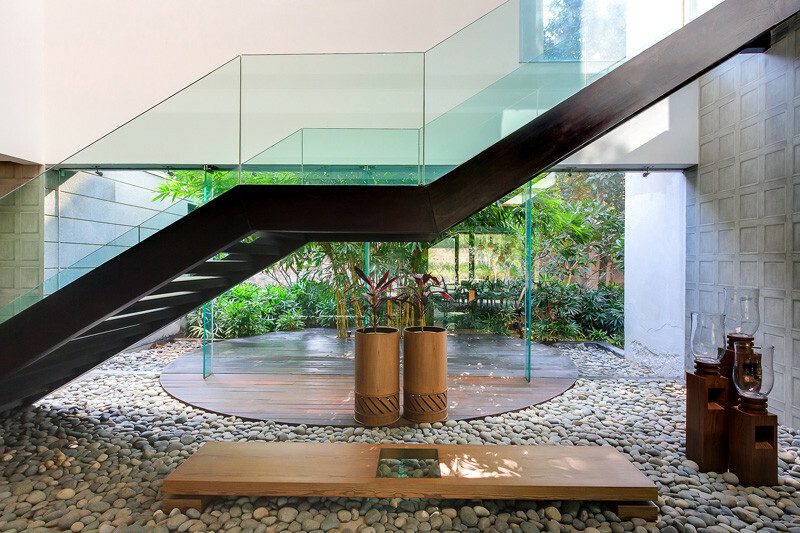 The space below the stairs appears to flow from the inside to the outside, with only a glass wall separating them. 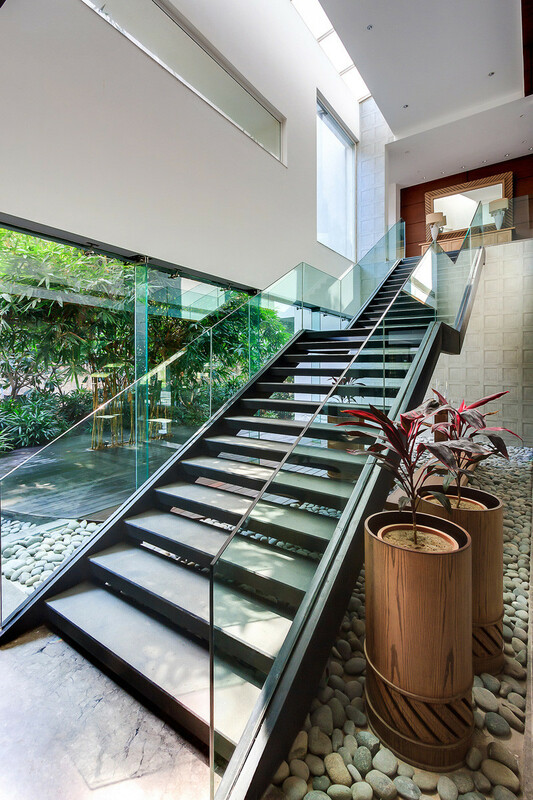 Windows located along the wall, fill the space with light, as you walk up the stairs. 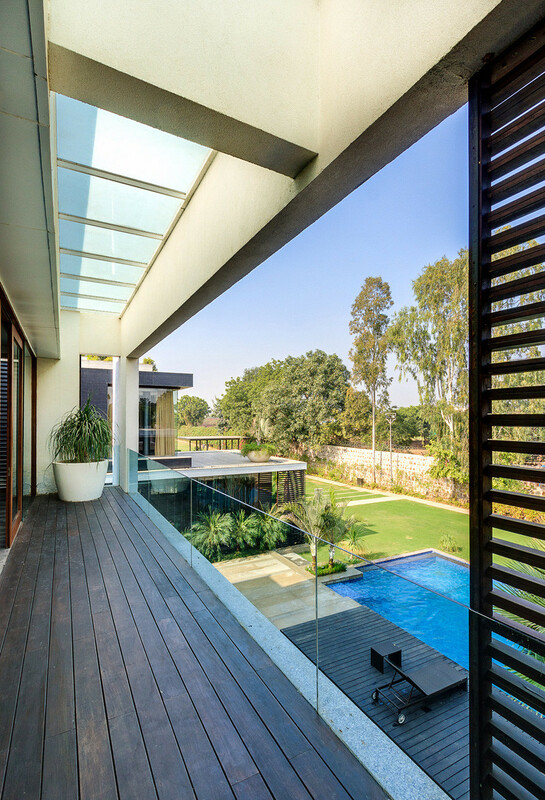 The upstairs balcony gives you a great view of the backyard. 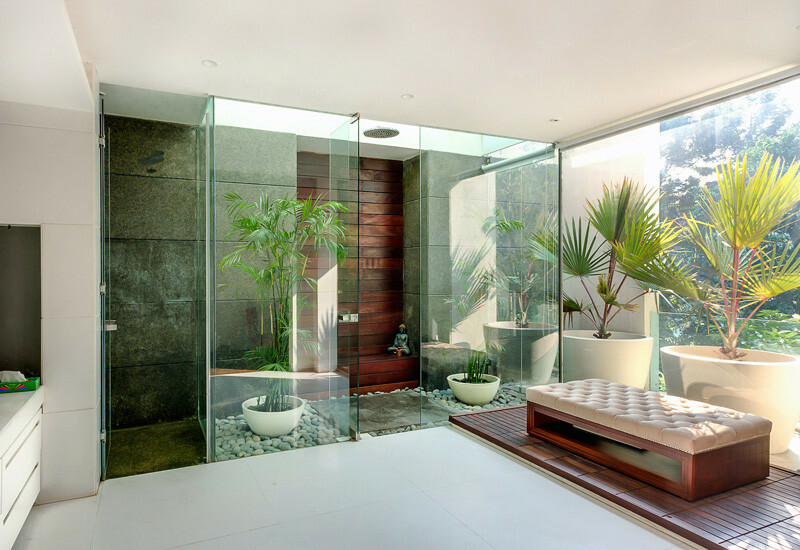 The master bathroom continues with the glass walls theme, found throughout the home.